CHO KU REI is one of the most popular symbols in Reiki, used worldwide. Cho ku Rei is not only used in Usui Reiki but also in other forms of Reiki and Martial art. The main function of Cho Ku Rei is to provide power, protection and prosperity. The name of the Usui Reiki Symbols are the Japanese Kanji or the the words in the Japanese language. Cho Ku Rei and Sei Hei Ki (emotional and mental symbol), may be a combination of the Sanskrit and Japanese Kanji as Japanese Buddhist sometimes combine the Sanskrit with Japanese Kanji in their sacred writings. Cho – Curved Sword (sickle) which draws a curved line. Ku – To enter something and produce wholeness, to produce space where nothing exists. Rei – Spiral, essence, mystical power that which is not explainable. In short, Cho ku Rei produces wholeness and heals in a mystical way which is beyond explanation. Cho Ku Rei is pronounced as Cho-koo-ray and one of the way to activate the Cho Ku Rei is to repeat its name thrice. Most of the practitioners start Reiki treatment by activating Cho Ku Rei. Cho Ku Rei helps in empowering the Reiki practitioner. It is rightly known as the “switch” to activate the healing energy in the Reiki practitioner. Cho Ku Rei Symbol is very easy to draw and memorise. Learn how to draw Cho Ku Rei. 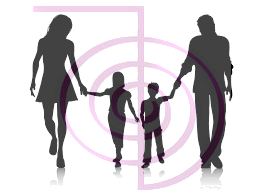 You must be first attuned to second degree of Reiki to activate this symbol. 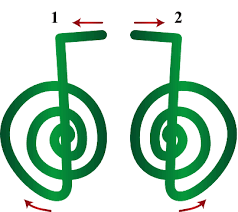 Cho Ku Rei can be drawn in a clockwise as well as anti-clockwise direction. In a traditional Usui Reiki an anti clockwise Cho Ku Rei is popular and most practitioners follow this tradition. 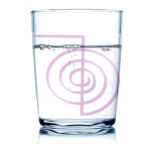 As Cho Ku Rei Symbol is used for the amplification of power, it can be used in any situation. But some Reiki Practitioners believe that Clockwise Cho Ku Rei should be used and is more powerful to eliminate the excess energy in some situations. Some Reiki Practitioners use Clockwise Cho Ku Rei in critical cases like Cancer to reduce the energy. In my personal opinion, Reiki is an intelligent energy and works for the highest interest of the person, it should be advisable not to dictate the Reiki energy where to flow and in which area it should be reduced and where to increase its flow. In my experience, any such intention to guide Reiki energy is of no use, Reiki flows where it is needed and for the highest interest of all ! Honestly, I have tried many times to direct the flow of Reiki energy, but to no use!! Reiki Energy flows where it is needed!! What is double Cho Ku Rei Symbol? Double Cho Ku Rei is a Symbol of Karuna Reiki – Kriya Symbol. Traditional Usui Reiki does not have any symbol such as double Cho Ku Rei. 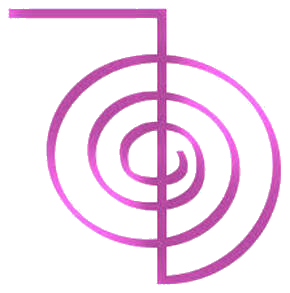 Many students are confused between Kriya – A Karunaa Reiki Symbol and using Cho Ku Rei Symbol. 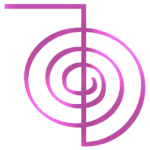 Kriya Symbol includes both clockwise and anti clockwise Cho Ku Rei Symbol. It has to be drawn simultaneously, with both hands. First three are second degree symbols and Dai Ko Myo is a Master Symbol. The traditional Usui Reiki consists of these four symbols only. Kriya is of a Karuna Reiki Symbol, and has a totally different way to draw it, with an altogether different purpose. 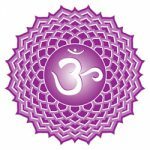 Kriya Symbol is mainly used to manifest the material goals. How to draw Cho Ku Rei Symbol? Cho Ku Rei is a very popular symbol, so there are many versions of how to draw it. Every Reiki Practitioner has its own way to draw and teach the Cho Ku Rei to the students. 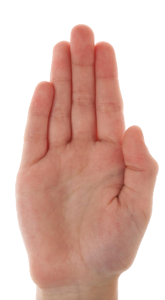 1.With a Thumb : Using Right hand/dominant hand, folding four fingers and using the only Thumb to draw the symbol. 2.Using Index finger : Using only Index finger, drawing a symbol. 3. 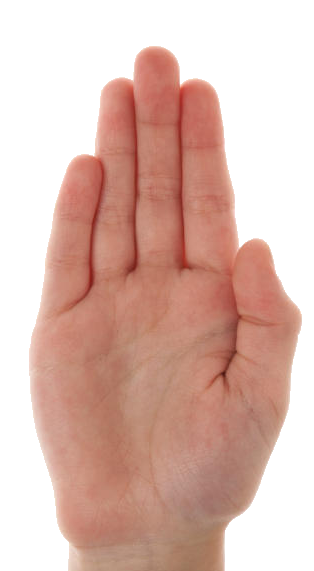 Using coned fingers : Most popular with Reiki Practitioners, using coned fingers – Index and Middle finger, draw the symbol. 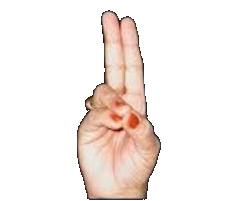 Joining these two fingers form “PRAN MUDRA” which is very powerful Mudra in MUDRA VIGYAN. Pran Mudra basically improves your Immunity and is a cure for all diseases. So to improve the immunity of the person, it works very well with Cho Ku Rei. It is well known that Cho Ku Rei is used for amplification. Cho Ku Rei amplifies whatever you put your intention to! 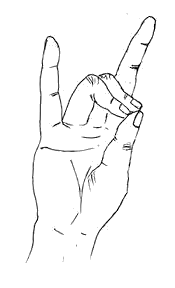 Pran Mudra works well with Mooladhara/Root Chakra. So any problem related to the Root chakra, using this Mudra + Cho Ku Rei, helps immensely! Draw Cho Ku Rei with Index and Middle finger! Form APAN MUDRA by holding these fingers together. Now draw Cho Ku Rei. I found using this method very useful, as Apan Mudra cleanses the negativity and works well with Heart Chakra. So try this method of using Apan Mudra + Cho Ku Rei for clearing negativity and problems with Anahata/Heart Chakra. 5. 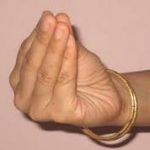 Same way you can draw symbol using all your fingers together, but it is not mentioned in Mudra, still popular with some Reiki Practitioners. 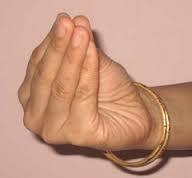 Though we find that it is very popular mudra in BharataNatyam- Mukula Mudra. So, may be beneficial with Heart Chakra and Manipur Chakra! 6. Draw Cho Ku Rei symbol with your palm. Drawing symbols using your palm is another popular way, visualize the Reiki energy flowing from your palms, while drawing the symbols. Is it just a visualisation without any scientific base? In the early 1980’s the frequency of trained healer’s hands were measured by Dr. John Zimmerman, (University of Colorado School of Medicine in Denver), using a SQUID(Superconducting Quantum Interference Device) and found the surrounding bio-magnetic field of trained healers hands vibrated at alpha and theta wave ranges compared to the hands of non-healers. 7. Attunements are the amazing part of the Reiki Journey. Second Degree Attunement enables one to send Reiki distantly with the help of symbols. But the Master Degree Attunement enable one to send Reiki just by intention! Miracles began after Master Attunement! You don’t need to draw symbols physically every time. Masters can draw any symbol or send Reiki just by intention! Draw Cho Ku Rei with Ajnya Chakra/Third Eye Chakra. Imagine a beam of light through your Ajnya Chakra and making a Cho Ku Rei and heal the situation. This is very useful when it is not possible to draw a symbol by hand, like in a crowded place. Heart Chakra is another Chakra, which works best when sending Reiki through Chakra! 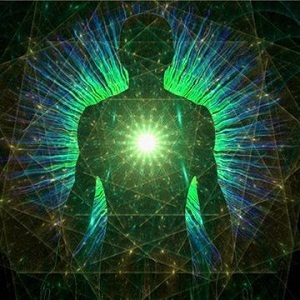 Imagine a beam of light through Anahata/Heart Chakra – spreading love and light where needed! Just with an intention, you can send Reiki to any place and in any situation! 8. Another way to draw Cho Ku Rei is to draw with your tongue! yes, draw Cho Ku Rei with your tongue on the palate mouth, if you want to work with Reiki in a secret way! How to use Cho Ku Rei for Power, protection and Prosperity. The Cho Ku Rei is a unique symbol which can be used effectively for power, protection, and prosperity. Let’s take some examples where Cho Ku Rei is used for the power, protection, and prosperity. Many Reiki Practitioner starts the Reiki session by drawing the Cho Ku Rei (CKR) symbol on the palms. There are many minor chakras on the palms, so to activate minor chakras on the palm and to amplify the Reiki energy, it is a popular way to draw Cho Ku Rei symbols on the palms. 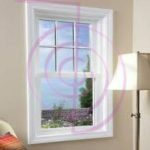 Draw Cho Ku Rei on all the walls and windows, ceiling and flooring to clear the negative energy and make the surrounding safe for your session. 2. Now draw Sei Hei ki on the corners of the walls in an anti-clockwise direction. (Start with wall 4-3-2-1). Sometimes, new second degree attunes do not feel the Reiki energy flowing through the palms. It is best to draw Cho Ku Rei Symbol every time you practice Reiki. Once you are attuned, Reiki naturally flows through you but sometimes it may take time to feel the energy. Same way, if you did not practice Reiki for a long period, you may feel that Reiki is not flowing through you. In any such situation, start Self-Reiki daily, and use Cho Ku Rei Symbol frequently. Draw Cho Ku Rei Symbol on each chakra of a person to heal and protect from negativities! Cho Ku Rei is beneficial for treating depression and in the cases of low self esteem. To boost the confidence draw the Cho Ku Rei on the Mooladhar/Root Chakra and Swadhisthana/Sacral Chakra with the intention to boost and protect the chakras simultaneously. 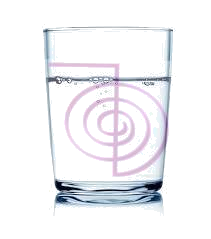 Draw Cho Ku Rei on Food, water and every edible before consuming, thus protecting from mal-effects of chemicals. Applying Cho Ku Rei on edibles give protection as well as strengthening. Protect yourself, your kids, family members, home, pet, plants with Cho Ku Rei! Draw a Cho Ku Rei on everything you want to protect!! 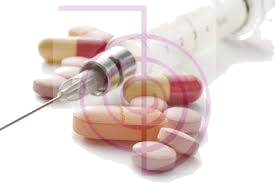 Allopathy comes with its own side effects which are very harmful. Every medicine and drug has it’s own side effects. 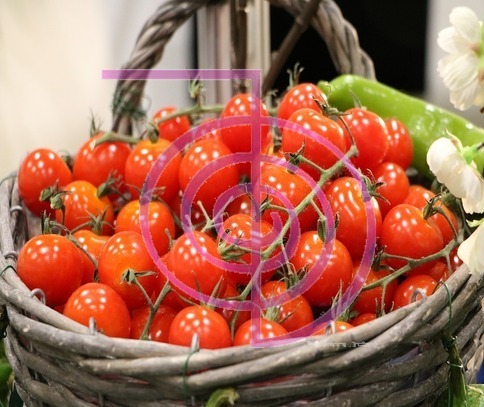 Always apply Cho Ku Rei to medications to reduce its side effects. Cho Ku Rei is also known as “Power Symbol” – as it amplifies your intention and give power to it. Cho Ku Rei Symbol is used with combination symbols for different results. 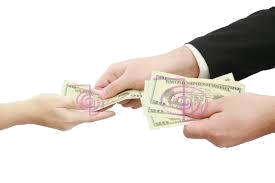 CKR + SHK (Sei Hei Ki) + CKR for clearing and healing money related blockages. CKR + HSZSN (Hon Sha Ze Sho Nen) + CKR for healing financial issues in the past / past lives. Draw CKR and clear the blockages especially on lower chakras i.e. Mooladhara(Root), Swadhisthana (Sacral) and Manipur(Solar plexus) chakra. To write Abundance Checks on the New Moon is a very popular ritual. 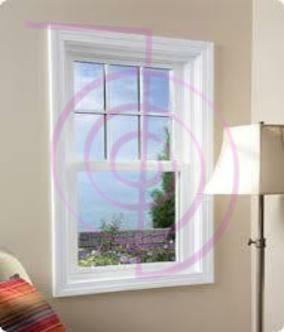 To amplify and seal the energy of the Abundance Checks draw CKR symbols on the four corners of the cheque. 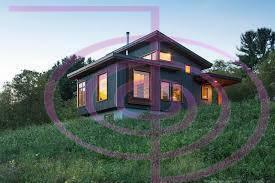 You can also draw other prosperity symbols like Midas star and Vasudha symbol in combination with Ckr, if guided to. Draw CKR on all your currency (notes and coins) while receiving or giving. By doing so, you’re wishing abundance to the receiver also, as You get back what you give to others a million times. Never forget to draw the CKR symbol while giving money to anyone. 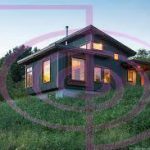 Draw CKR on your debit/credit cards, on your wallets, Bank passbook, cheques and all documents relating money with intention to gain abundance. Mani means jewel or precious stone, in Sanskrit and Hindi, Manipur Chakra is a source of financial abundance. So heal your Manipura Chakra for material things. Try to align in your lower chakras, as lower chakras indicate the material things in the Chakra system. Mooladhar, Swadhisthana, Manipura chakra play a very important role in achieving material things. 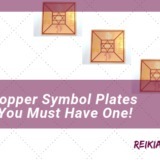 Reiki Symbols can be used in the number of ways, there is no right or wrong way as where to use these symbols! You can use it as guide to! I would appreciate if you let me know by commenting below what is your preferred way to use Cho Ku Rei in your Reiki practice. Just remember, only second degree attunes can use these symbols, and don’t forget to intone the name of the symbol thrice every time you use it! But that does not mean that only Reiki attunes can use these symbols, those who are not attuned to Reiki can also use these symbols in a safe way! 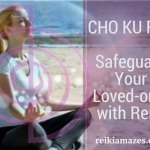 Want to know how non-Reiki attunes can use Cho Ku Rei? I was very fond of Reiki, just like you! For many years I learned and practiced Reiki, but I wanted to do it professionally. But I had no idea how to do it! 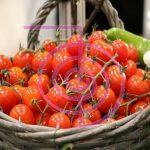 One fine day, I stumbled upon this amazing platform, and now I share my knowledge and tips of Reiki, through my website, reikiamazes.com! Never thought one day I will have my own websites, as I have no technical knowledge. Are you a healer, Reiki Practitioner or Energy healer, why don't you spread your skills and knowledge with others. Believe me, thousands of people need healing. 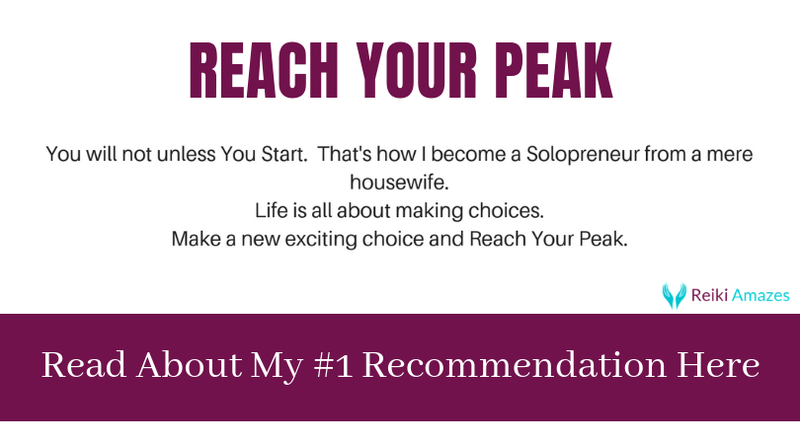 Start Your Own Blog, it's Totally Free to Join, and I am here to help you! Do you Find Self-Reiki Boring ? Simple Tips to Make it Interesting ! You have done it nice and clear. Wanda, once you are attuned to Reiki, you never loose your symbols or Reiki, once attuned always attuned. So not to worry, just practice it more and you will be able to channel Reiki and its symbols efficiently. Thank you, Shubanghi! Very well said!! Thanks Gregg, appreciate your feedback. Recently got attuned for Level 2. Appreciate your deep understanding with practical examples. 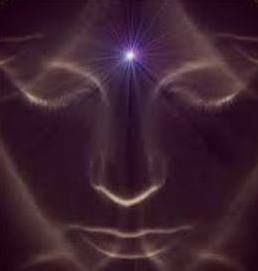 Congrats Nikhil for your 2nd attunement, I am sure you will become a good Reiki Channel. If you have any questions, just holler! I was attuned to Ran Sei as a Master Symbol for Usui Reiki, my master uses that one instead of Dai Ko Myo. I have been trying to find more information online, but I haven’t been lucky. Have you heard or do you know more about this symbol? I have not heard or find any information about Ran Sei Symbol. I am very curious, can you pl send me the snap of the Symbol and any information about it. Reiki has many symbols, besides four main symbols, from other Reiki Masters, so you will find many variations of the same symbol also, use them as you are guided to. You can also meditate on the symbol, for further guidace, and if this symbol is attuned and passed on to you during your Reiki Attunement, nothing to worry about it.